Ahhhh, the heart. Can’t you feel it? The rhythmic, pulsing, there, in the center of your being. It is calling you, beckoning you, and encouraging you to lead with your heart. Are you ready to heed the call of Love? Ahhhh is the sound that we tone this magnificent muscle with and it’s element is Air. 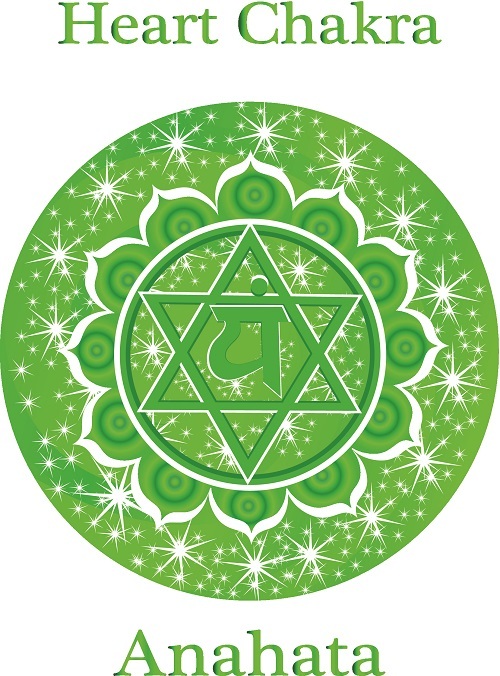 Although pink is the universal color of Love, the heart chakra glows a brilliant emerald green. The same green associated with Archangel Raphael ~ the Archangel in charge of healing and health. Raphael means “God heals” or “He who heals” in Hebrew. Which makes sense because in order to put forth and accept love, our own hearts must be healed. 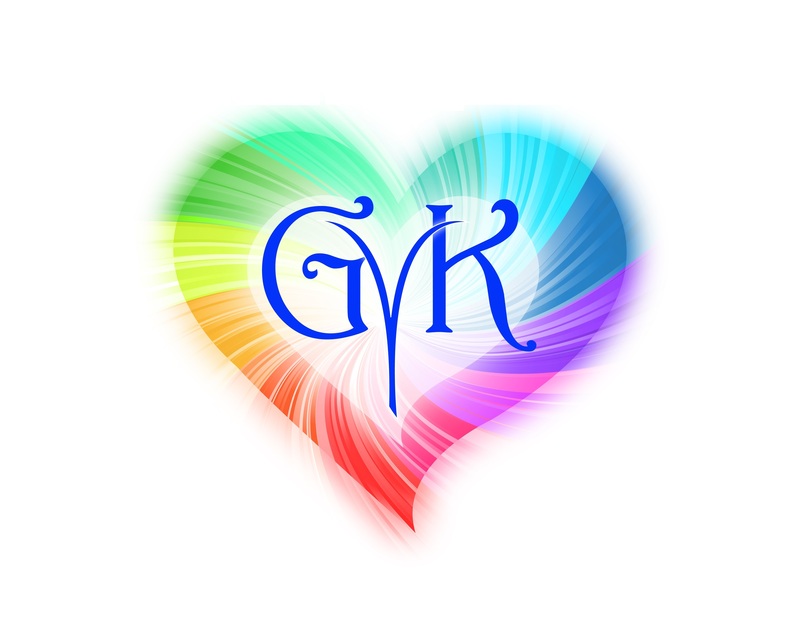 This chakra sits in the center of our being and connects the lower & upper chakras. 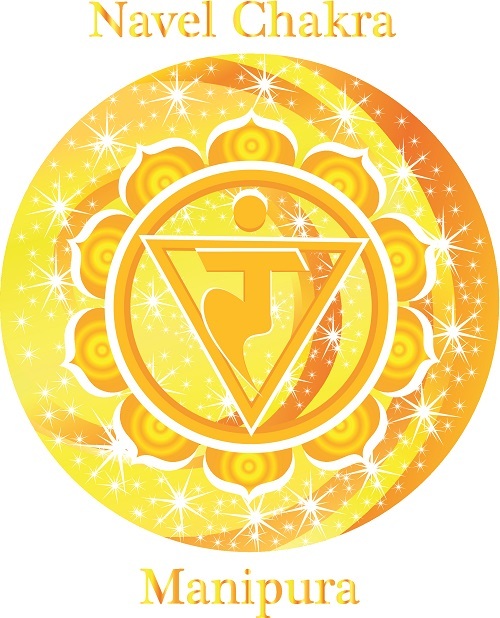 If this chakra is imbalanced, the other 6 chakras will not have a way to connect to each other fully. The Light was blazing during our conversation with Roy Havrilack about serendipity! Roy is an actor and cofounder of Skytown Entertainment, which produced of the short film ~ What Future. He had been a spiritual seeker for years before he found his way to the practice of Buddhism. And he found it through the delightful path of serendipity. Don’t you love when something just drops in your lap out of seemingly nowhere? In reality, you had sent out signals to have that thing “happen” into your life. It is the cause and effect of our thought process. Yet, we must be open to the signals that move us mysteriously to that happenstance wondrous event. When we move through our life open to the magic that the universe creates for us, serendipity blazes the way. Somehow, I always followed those inner nudgings. I don’t even know how I did it in my early years because I was riddled with fear and anger. But, somehow a voice, a hunch, or an obscure idea, would move me in some direction I hadn’t even considered and then pieces of a puzzle would fall into place. I would get a job I desperately needed or find an apartment on my last day of looking, or meet a soul friend. I would look back and think ‘how did that happen?’ Never really understanding that I had sent out signals to put things in place and all I had to do was be open to the Divine Guidance. Be Open. The third chakra is our power center. The color is yellow and the element is fire. This chakra gets you moving! It is the chakra that is oriented to self definition. It is from our center that we reverberate out who we think we are. When the 3rd chakra is spinning easily then we feel good about who we are and what we contribute to the world. However, if your self talk is crappy ~ I always say something stupid, I couldn’t be any fatter, no one likes the bald guy dude, I’m such a space cadet ~ then your third chakra needs balancing. And, make no mistakes, even though your self talk is in your head, you will radiate that energy out and create a world that answers to that talk. Who we are to ourselves is far more important than how the world out there defines us. Knowing that we are Divine and that we bring something special to this Earth simply by being our true selves takes hold in the third chakra. It is our inner most “private” thoughts that determine what we think of ourselves. No person, job, dollar amount or profession can define who you are. And bigger than that is the FACT that the Divine knows who you are and loves you immensely for having the courage to incarnate in physical form so that the Divine can be known through you and by you. Try telling yourself that private thought every day and see your world become magical one! Noelle Izzi’s quest is to bring awareness to her beautifully coined expression ~”spiritual pollination“. Megan and I were excited by the term and it’s implication for raising the vibration of our life experiences and more profoundly, our Earth. Spiritual pollination is about what energy we put out into the world. By putting positive energy, thought and action out, we create a world of Divine balance ~ the same kind of balance that we see, and experience in Nature. Noelle had a beautiful experience with a hummingbird that changed her perspective and turned her world around. 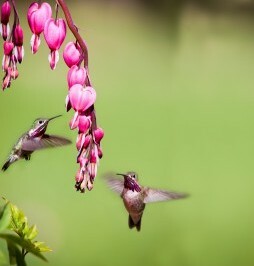 The hummingbird was brought in by the Divine to pollinate a message of Joy. 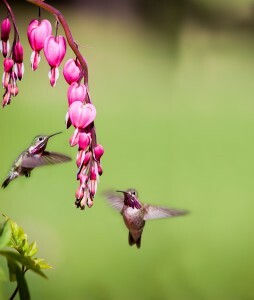 The Native Americans believe that the hummingbird feathers open the heart. Without an open heart, we can not experience the beauty and bliss of life. Hummingbird is a bird of true Joy. This bird is the only one who can fly up, down and in each direction, It can also seem as though it is literally hanging still in the air. Hummingbird, though teeny tiny, is a powerful pollinator. Because of it’s free spirit, it can not live in captivity. We talked briefly about Dr. Masaru Emoto ~ the world renown scientist, who proved that words, written or spoken, will change how water crystals form. Beautiful music and words spoken to water or even written on a glass of water creates beautiful crystal formations in the water that can be witnessed after it isfrozen. Negative words spoken into or taped onto the glass of water created deformed and imbalanced crystals.